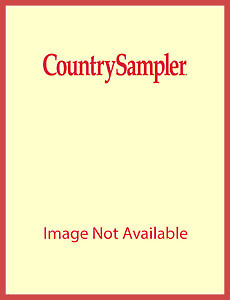 Celebrate colorful, artistic decorating that melds exotic elements and cultural influences with homespun individuality in Country Sampler's Boho Style. 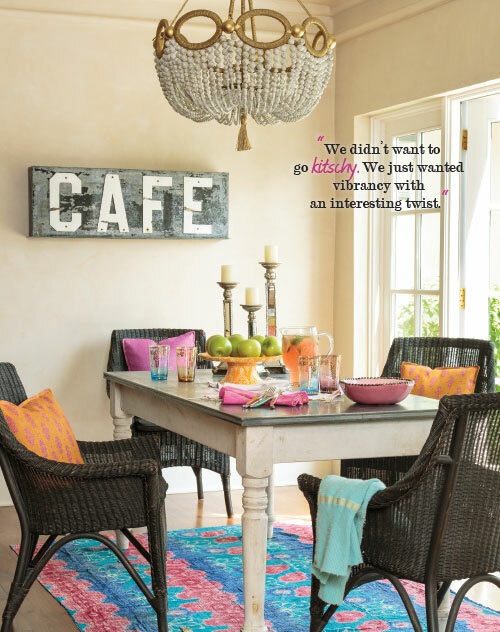 Visit 10 beautiful homes that range in style from elegantly eclectic to fun and flirty. Enchant party guests with lavish settings and unique DIY projects. Bring free-spirited flair to your rooms with worldly accents. 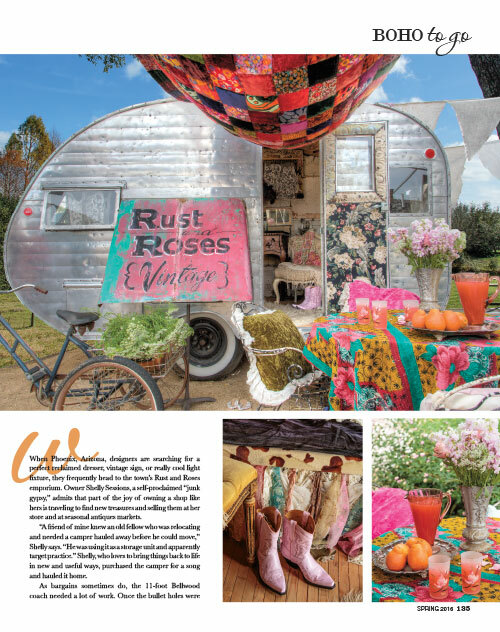 See daring decorations take to the road in vintage campers and nomadic wagons. I bought this when it came out and am here to see if it became a magazine unto itself so that I could subscribe. Sadly, disappointed. I don't care for the others. This was a fantastic feature magazine. I saw this at Barnes & Noble and bought it. I love it!! I am loving Boho style. I've got rooms like those, but not quite so organized. I hope you will create more on this style. Like the first reviewer, I'm not a huge fan of country style, but the colors of this magazine jumped out at me at the newsstand. I would love to see this magazine as a quarterly, if not monthly issue. 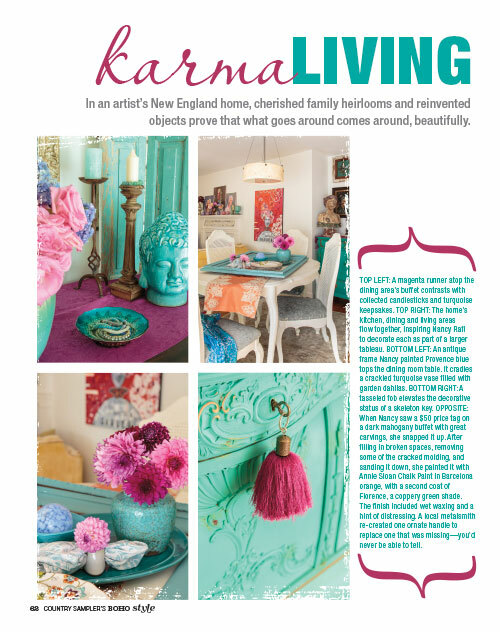 Every page was beautiful, the styles were fabulous and the mix of colorful boho style mixed with a touch of mid-century and flea market finds was right up my alley. PLEASE consider more issues! This is an amazing magazine. 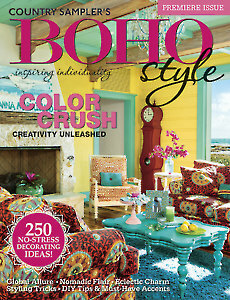 I would buy a whole year's subscription just to this BOHO magazine. I don't necessary like all of the country samplers but I was in the grocery store and stopped dead in my tracks when I saw this magazine...I loved the fact that other people out there had crazy style like me!!! I want to see more of the Bohemianism style. Please, please, please do more of this in your line. I was looking where I could buy more of just this magazine! Please continue this mag! I love it and want a subscription.